Servus believed that one good turn deserves another. So convinced is the Canadian credit union that the public believe likewise it bankrolled a 'Feel Good Ripple' that it hoped would swell to tsunami-size proportions. Credit unions have suffered through association over the past year. Although operating a different investment and lending policy to banks, the public has tarred every financial institutions with the same brush, holding them all responsible for the financial meltdown. 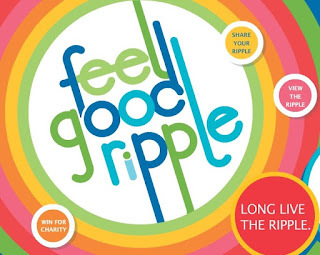 By starting a Feel Good Ripple, Servus aims to separate itself from the money orientated banks. The credit union gave out CDN $200,000 in 10-dollar bills to the public on the proviso that each recipient of a note used it to do a good deed. Suggestions from the credit union include buying someone flowers, paying for the goods of the person behind you in the queue or giving the note to a homeless person. A dedicated website has been set up for people to record what they did with their 10-dollar bill. The most original acts of kindness recorded online or in branches will win a donation of CDN $500 to a charity of the person’s choice. Officially the campaign ends on December 1st but Servus hoped its Feel Good Ripple would carry on under its own steam for a long time after that date.